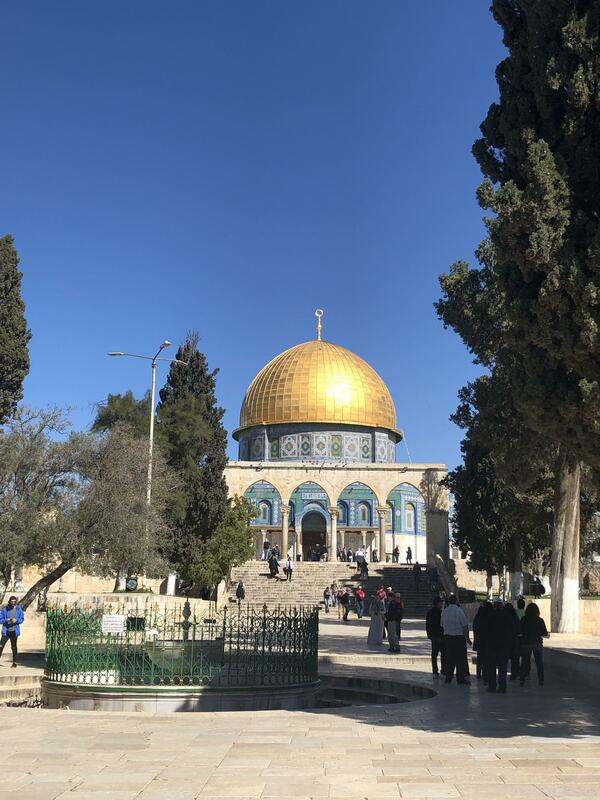 Haley Stepanek was in awe of how “Billions of people revere this site as one of the holiest on earth: for Muslims, Temple Mount contains the Dome of the Rock and Al-Aqsa Mosque; for Jews, it is the site where Abraham sacrificed his son Isaac to God.” and the site of the first and second Temples. 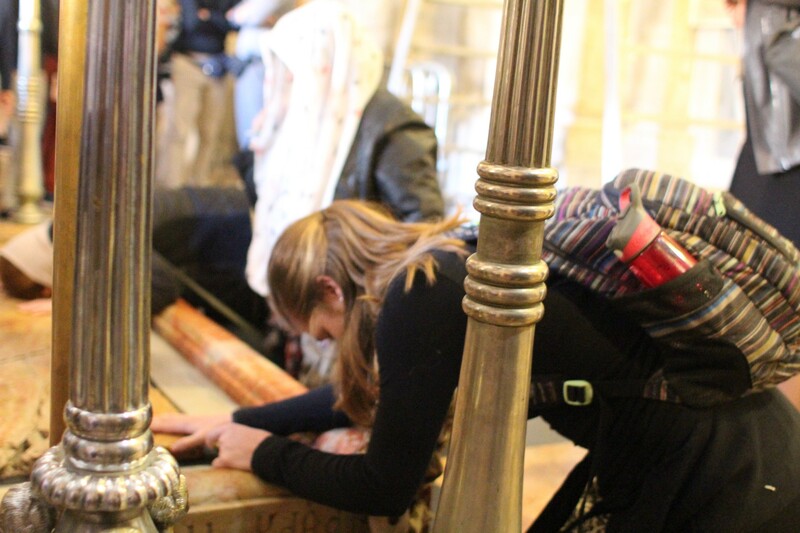 In fact, our visit to the Temple Mount happened just days before it was again temporarily closed when news broke that a Molotov cocktail was thrown on the grounds of Temple Mount. 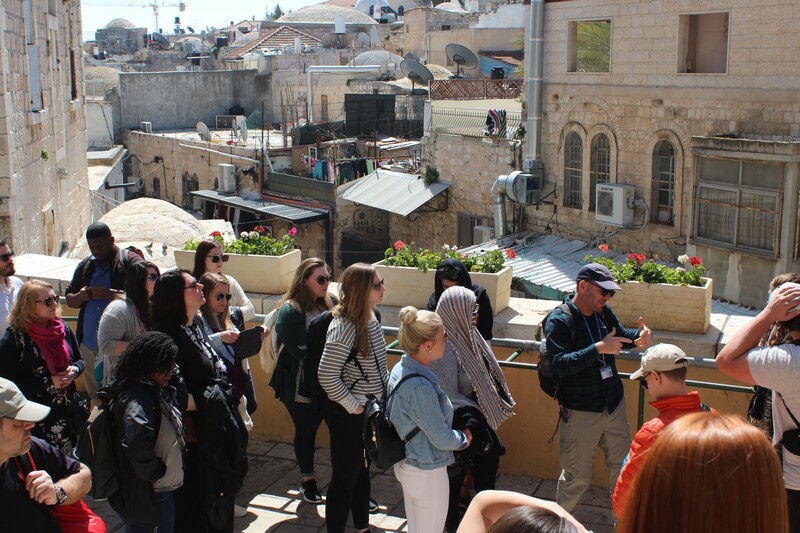 This event, and many events that happened around us while we were on this trip, gave everyone a sense of how present the conflict is. I end this blog with a beautiful poem about the Temple Mount, by one of our students, Jacob Armellani, influenced by Robert Frost’s Stopping By Woods On A Snowy Evening. Whose Temple Mount is that? I think I know. Its keepers are quite sad though. Are soft prayers and birds awake. She rises from her bitter bed. A time with no more bloodshed.